2. Placed into an ultrasonic bath where high frequency pressure forms tiny bubbles act on debris to remove it from dental tools. 3. Then are removed and dried before placing in a sterilization pouch which includes a coloured marking to indicate if they have been sterilized properly. 4. The pouches then put through an autoclave which uses a combination of pressure, steam and high temperature for a certain length of time to kill all the microorganisms. 5. After the full cycle is complete and instruments are fully dry, they are removed from the cassette (still wrapped in the pouches) and checked to insure proper sterilization has been reached. 6. Finally, the sterile packs are placed in a clean, dry area until ready for use. 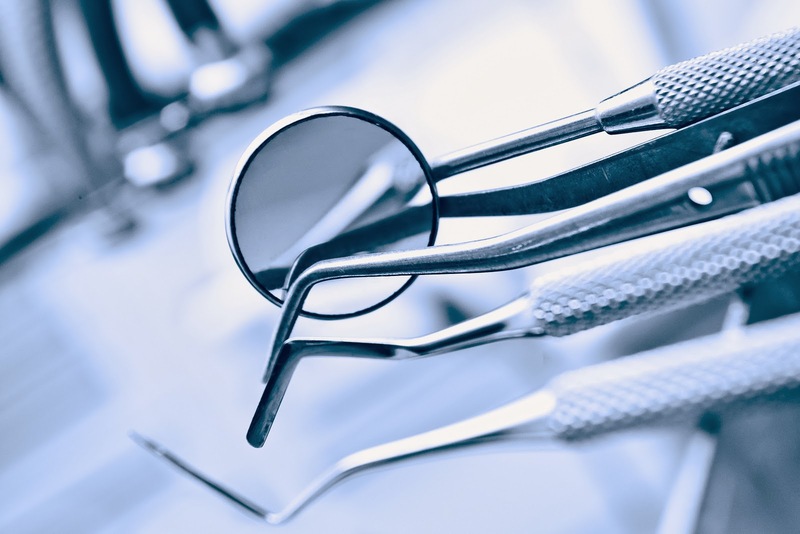 If you have any questions on how your dental office sterilizes its dental equipment be sure to ask at your next visit to your dental office! This entry was posted in Dental Instrument Sterilization and tagged Brampton, Dental instruments, Dentist, Dentist in Brampton, Dentistry, Family Dentist Brampton, Healthcare, Sterilization by Lifeology 101. Bookmark the permalink.